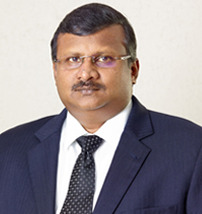 Prof. Pramod P. Thevannoor Vice Chairman of SCMS Group is professor of marketing communication . Prof. Pramod Thevannoor is the President Elect of ACBSP South Asia Council of Business Schools and Programs - Region 10. He has taken up the mission of the ACBSP to establish, promote and recognize educational standards that contribute to the continuous improvement of business education and, through the process of accreditation, to recognize business schools and programs that adhere to these standards. Mr. Pramod has attended several national and international conferences and workshops on management and accreditation.